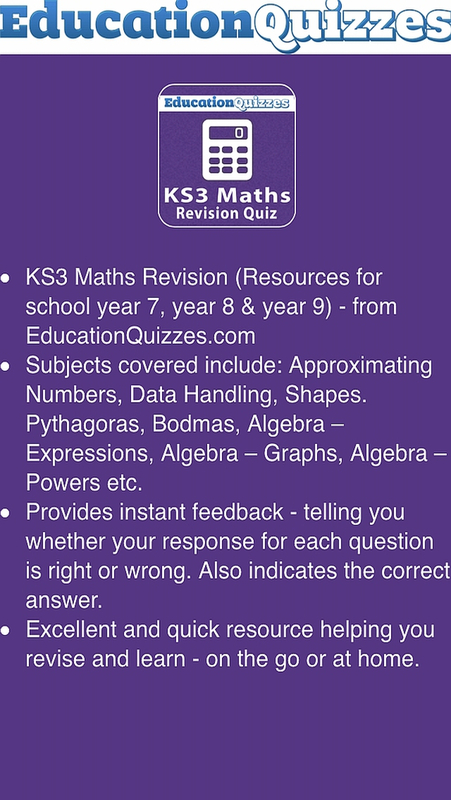 KS3 Maths Revision (Resources for school year 7, year 8 and year 9) - from www.EducationQuizzes.com. Whether you love Maths or you hate it, you can be encouraged by the fact that 50% of all doctors graduate in the bottom half of their class! 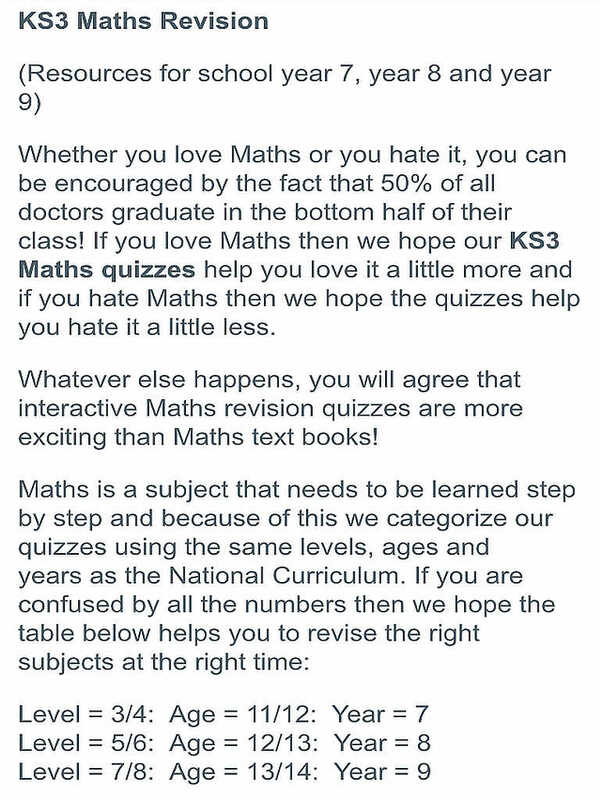 If you love Maths then we hope our KS3 Maths quizzes help you love it a little more and if you hate Maths then we hope the quizzes help you hate it a little less. 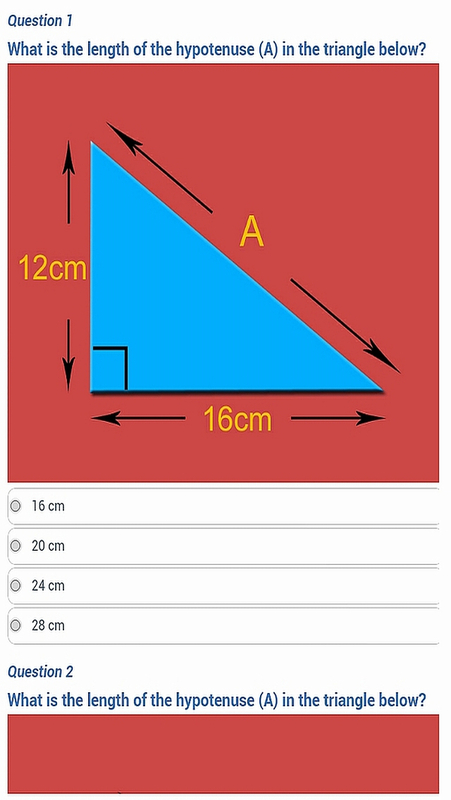 Whatever else happens, you will agree that interactive Maths revision quizzes are more exciting than Maths text books! 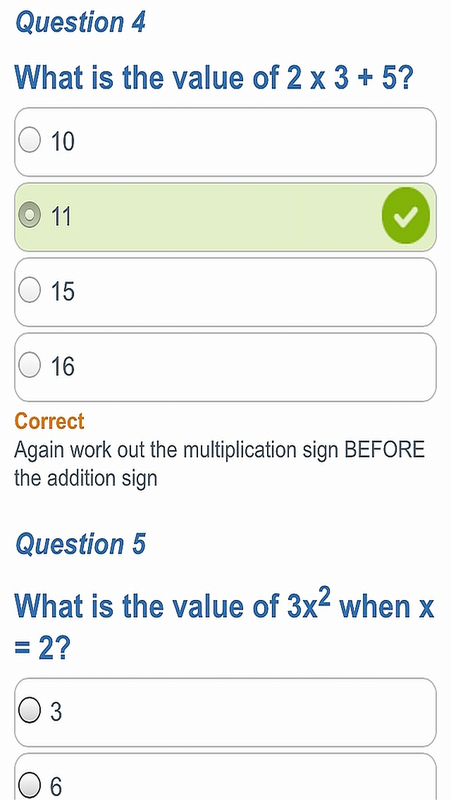 - Algebra – Powers etc.